San Jose garage doors do not require a lot of care. However, you will likely need to obtain San Jose garage door repair at some point. Broken springs, door balance problems and noisy garage doors are examples of some of the problems that garage doors can have. You may also have to get door panel replacement, door track repair, door track cleaning or garage door opener repair. You can give us here at Precision Garage Door Bay Area a call at 1-866-949-3722. Our address is 35 Quail Court, Suite 301 Walnut Creek, CA 94596. Our professionals are known for doing great service. Regardless of whether you need to get garage door opener repair, door panel replacement, broken springs repair, door track repair or door track cleaning, the job will be done correctly. It is easy to get in touch with us because when you call, you get to speak to a real person. Because we are great at what we do, we have received recognition. 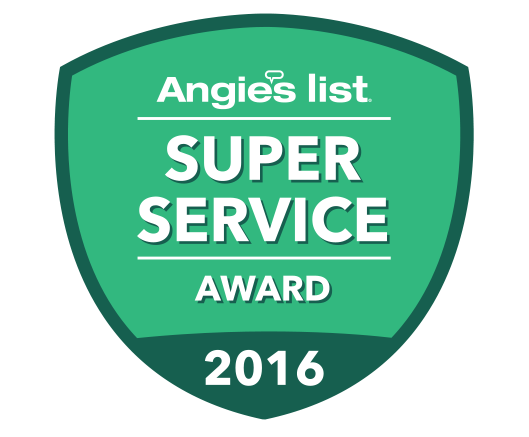 In 2016, we were given the Angie's List Super Service Award. We are also a Better Business Bureau-accredited company. You will not have to pay a fortune to correct a noisy garage door or door balance problem. We keep our prices affordable by offering teacher, military and senior citizen discounts. We also accept all major credit cards. A San Jose Garage door safety inspection is essential for keeping your garage door functioning properly. You may not notice if your garage door has minor problems. However, a seemingly minor can quickly turn into a major one. That is why inspections and San Jose garage door maintenance are important. "Thank you Precision Door Service for your prompt service and professional conduct. The technician was very knowledgeable and provided a clear explanation for replacing my garage door springs. I would definitely recommend them in the future. " "A pleasant experience with Precision Door from start to finish. Excellent employee relations. Job well done! Yes, I will recommend Precision to neighbors and friends." "Chad provided excellent guidance as to the problem and a solution. He offered a great explanation of the work necessary and a quick resolution. Nice guy too!" "Paulino was very knowledgeable and his work is superior work! Our garage door springs broke and we needed them replaced as soon as possible. We highly recommend Precision Door Services because they came out within a few hours of me making my appointment!" "Cory was very courteous and friendly! he arrived on time and was able to get my garage door in working order again! Thank you Cory, now our garage door work better then ever. We would recommend them to our friends and family." "Cory was great, He was very helpful and a great installer. He replaced my door in as little as 2 hours! Thank you Precision Door Services." "Quick and professional service. We were able to get our garage door working smoothly. Now that our garage door works smoothly we couldn't be happier with the outcome." "Paulino was able to get my garage door working again. Thank you Precision Door Services." "Hector was great. He arrived on time and was able to get my garage door and garage door opener in working order. Both my garage door and garage door opener are quitter then ever! Thank you Hector!" "My garage door didnt want to open one morning. We were able to open it and put our cars in it last night and now our cars are stuck! Paulino was able to come the same day we called and he made our garage door open and showed us that we had a broken spring! He replaced it and now my garage door works again!! Thank you, we would highly recommend Precision Door Services to our friends and family." "Paulino was very knowledgeable and was a great technician. He was able to get my garage door up and running again by replacing my springs! Now my garage door runs smoother then it ever did before! We are very happy with Precision Door Services." "Paulino did an excellent job on my garage door. I am now able to open and close my garage door more efficiently then I did before!" "Cory was very courteous and friendly. He did an excellent job replacing my garage door and putting up my new one. Thank you!" "Cory was great, When he arrived to our house he evaluated everything and started working right away! Glad we were able to replace our garage door opener. He even cleaned up after himself! I thought that was great. We would highly recommend Precision Door Services to our friends and family." "Mike arrived on time and was able to get our garage door working again! When he arrived he explained everything that he was going to do. Glad we called Precision Door Services and glad go Mike as our technician. We would highly recommend Precision Door Services." "Timely service, experienced and thorough. Very helpful and courteous. 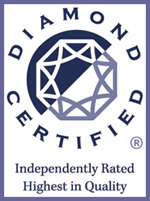 We're very happy we found Precision Door a Diamond Certified company. We would highly recommend them to our friends and family." "The garage door at our house was making some loud cracking sounds when we were opening our garage! We were looking to get it fix as soon as possible. we found Precision Door Services in our local yellow pages and gave them a call! Glad we did because now our garage opens even better!" 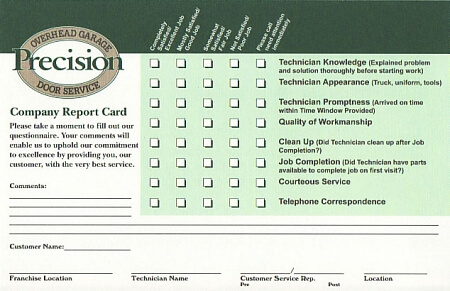 "Garage door repair - found your business on the Diamond Certified after I called our normal repair shop. They never returned the call - and your service is finished and done beautifully. Mike Rogers did a super job. His recommendations were spot on and agreed to easily based on what he showed me. You guys are good. Still no call from the other service!!!" "The garage door opener started opening very slowly! The next day it would open at all! We were worried we would have to wait the whole weekend without having our garage door working! Luckily we found Precision Door Services while doing a google search and they do weekend calls! Aramis was great and was able to get us up and running! so glad we found them! Now our garage door opener is quitter then before!! We would definitely recommend Precision door Services to our friends and family!" "Luis was very knowledgeable and resolved my issue quick. He explained everything that was needed to be done. 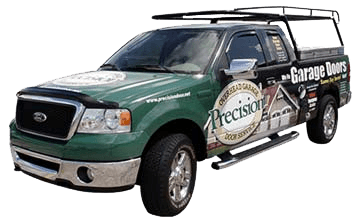 I would recommend Precision Door Services to my friends and family."